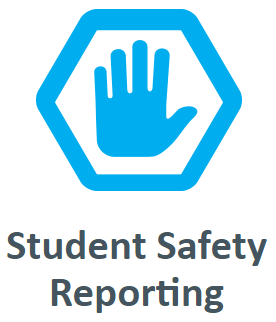 *Please feel free to contact her with questions regarding identification of students and services. Currently Piqua City Schools has Gifted Intervention Specialists to meet the needs of students identified as superior cognitive or as gifted in reading and/or mathematics. Each teacher’s name is listed below along with their building assignment and contact information. Mrs. Brittney Green greenb@piqua.org serves students at Springcreek Primary in grades K – 3 who have been identified as gifted in the areas of reading and/or math. Mrs. Danielle Dillion dilliond@piqua.org serves students at Washington Primary in grades K – 3 who have been identified as gifted in the areas of reading and/or math. Mrs. Polly Leasure leasurep@piqua.org serves students at Central Intermediate in grades 4 – 5 who have been identified as gifted in the area of reading and/or superior cognitive. Mrs. Elizabeth Sides sidese@piqua.org serves students at Central Intermediate in grades 4 – 6 who have been identified as gifted in the area of mathematics and/or superior cognitive. Mrs. Jocelyn Hiestand hiestandj@piqua.org serves students at Central Intermediate in grade 6 who have been identified in reading, mathematics and/or superior cognitive. At the primary level Mrs. Dillion and Mrs. Green provide all identified gifted students with co-teaching learning experiences within the students assigned classrooms. Mrs. Dillion and Mrs. Green work with teachers in grades 1-3 to provide more rigorous and in-depth knowledge in Language Art and Mathematics, as well as helping to meet the social and emotional needs of our gifted identified students. At Central Intermediate Mrs. Hiestand and Mrs. Leasure meet regularly with students in grades 4 – 6 to enrich and extend their reading, writing and critical thinking abilities. Mrs. Sides works with math identified students (grades 4-6) and our math subject accelerated students to deepen their math understanding using challenging problems as well as more in-depth knowledge of the mathematical standards. 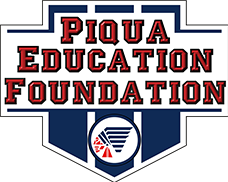 At Piqua Junior High School students have access to advanced coursework and/or concurrent enrollment classes and College Credit Plus classes. is an opportunity for students to attend college classes in place of high school courses and receive credit for both.